From 1st April 2018, small businesses with turnover of less than $5 million per year will have the option of using the accounting income method (AIM) to work out their provisional tax payments. Although you can continue to use other provisional tax calculation options, AIM may be advantageous because it uses new functionality included in approved accounting software to work out your payments. This means it will particularly suit those businesses using approved accounting software and/or those with seasonal or irregular income. Using AIM can help your business to improve cash flow management because you will only pay provisional tax when your business makes a profit (as opposed to being based on estimations). If your business makes a loss your refund will be available immediately rather than having to wait until the end of the year. Individuals, sole traders and companies are all eligible to use AIM, and you do not have to be GST-registered. To use AIM for calculating your provisional tax payments, you must opt in at the beginning of the tax year before your first provisional tax payment would be due. New businesses who have just started operating can opt into AIM at any time before the first provisional tax payment would be due. This is also the case for any business new to paying provisional tax. You will need to complete the setup in your accounting software for AIM. On each AIM due date (usually the same as your GST due dates if you are GST-registered), your accounting software will collate a statement of activity which shows whether a provisional tax payment is required to be made and how much it is. You can review the statement of activity before sending it through to IRD. Your accounting software will work out if adjustments should be included, for example private use expenditure, debtors, creditors, trading stock or previous year’s losses. It then calculates your provisional tax payments for any remaining profit (based on either company or individual rates). If your profit has dropped equating to an overpayment of provisional tax, your statement of activity will identify your refund. Within the statement you can request a full or partial refund, request the refund to be held toward future payments, or transfer it to another tax type or customer. Your statement of activity, together with any payment due, must be filed on each AIM due date. 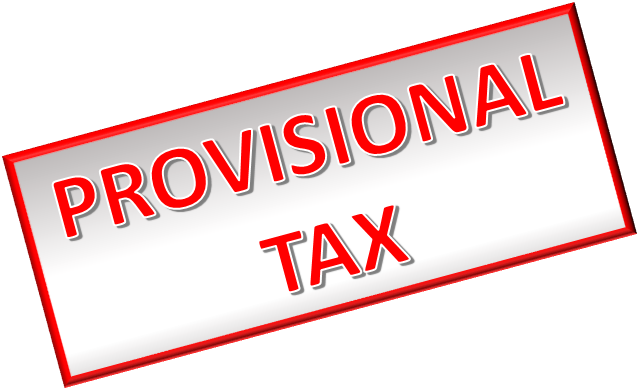 Penalties and interest will still be applied to any underpayment of provisional tax, even if a statement of activity has been filed. If you miss filing more than two statements of activity you will lose the option of using AIM, with IRD reverting back to the estimation method for calculating your provisional tax. Please contact us if you have any questions regarding provisional tax. Further details about the accounting income method for calculating provisional tax can be found on the IRD website.